After collapse of the Soviet Union the design and construction were poorly regulated even in the Russian capital resulting in the ill-conceived and discordant urban environment with buildings that looked alien to the city architecture. Unfortunately many of these buildings still exist to this day, even in the center of Moscow. «Cosmetic» improvements of their facades still didn’t improve the city’s appearance. 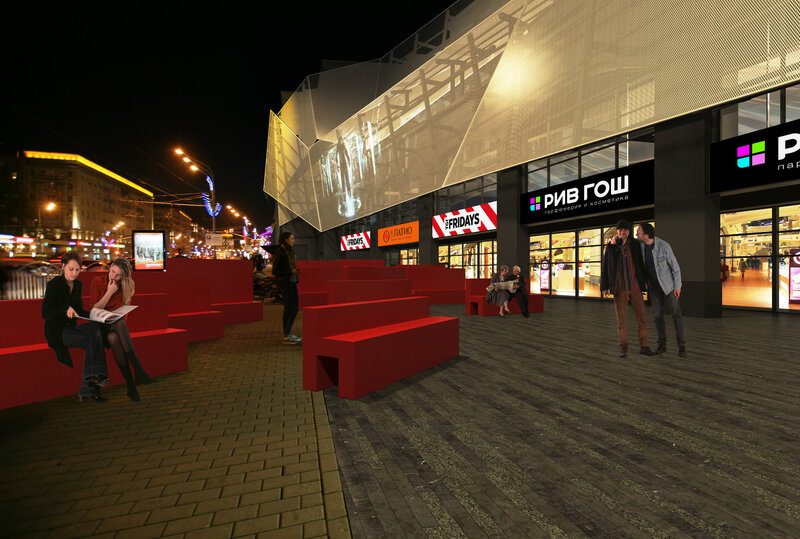 The situation can be changed using the concept of light facades offered by za bor architects. 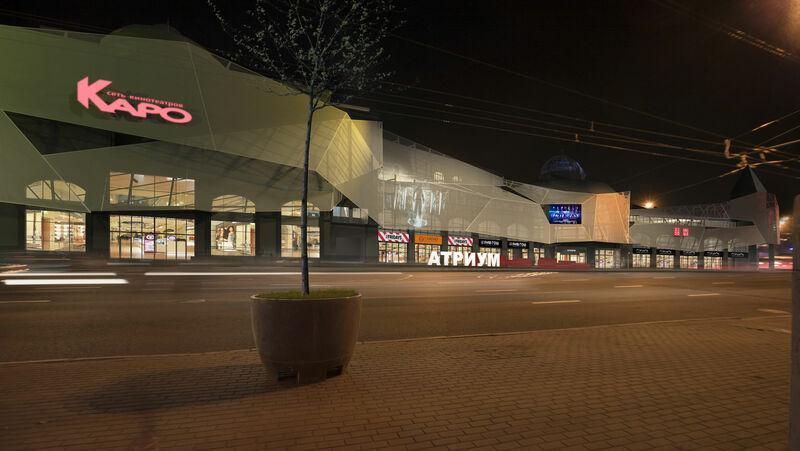 Architects Petr Zaitsev and Arseniy Borisenko continue to explore the capabilities of lightweight constructions showing their perspective of how one of the largest shopping malls in Moscow (built in 2002) would look like if redesigned with the use of affordable materials in order to create attractive facades. 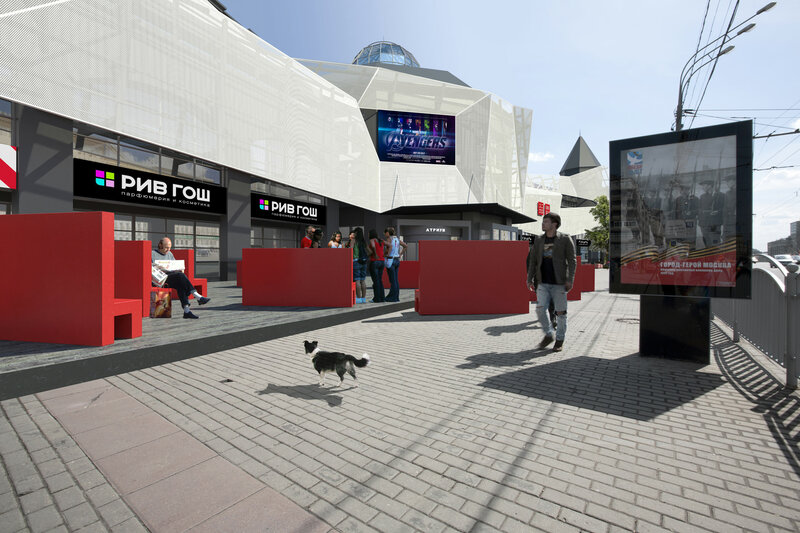 Thus, the project solves two problems at once – it improves the urban environment and acts as a tourist attraction, drawing attention to the shopping center. In order to refine the facade expanded steel sheets were used – a simple, cheap and easy material. The sheets are mounted on a polygonal metal structure, which is attached to the front of the existing building by anchors. Point load that arises here is not essential for the supporting structures of the building. In summer the expanded metal shell significantly reflects and scatters light allowing to use it as a canopy and reduce the wall heating. That has a positive effect on air-conditioning costs. In addition, it can operate as a huge screen for light shows, movies and commercials. With a proper phone application all shopping mall visitors will be able to receive audio footage to the currently projected video. This solution is technically simple and does not require much time and large budget. 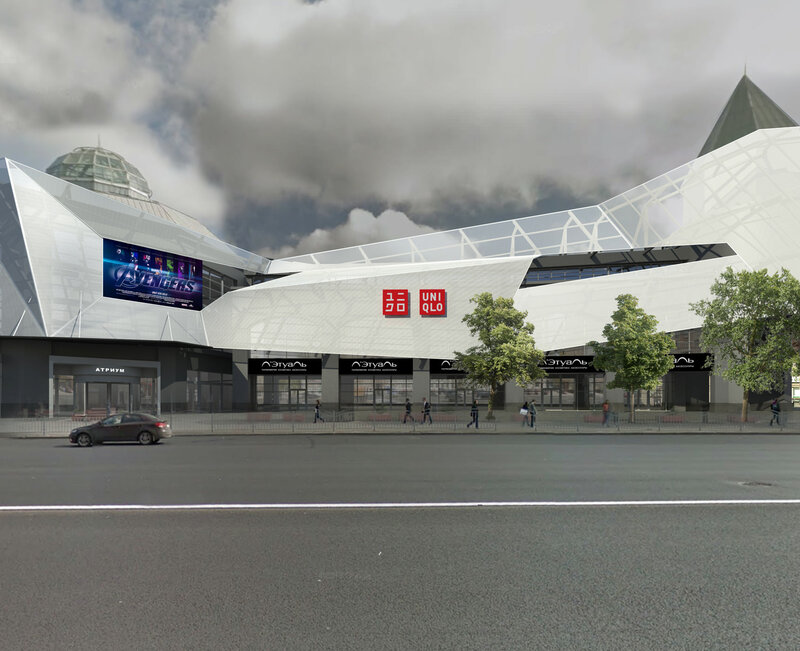 This means in a matter of weeks it can transform visually inappropriate building of the shopping center into an interesting object that attracts and entertains residents and visitors. 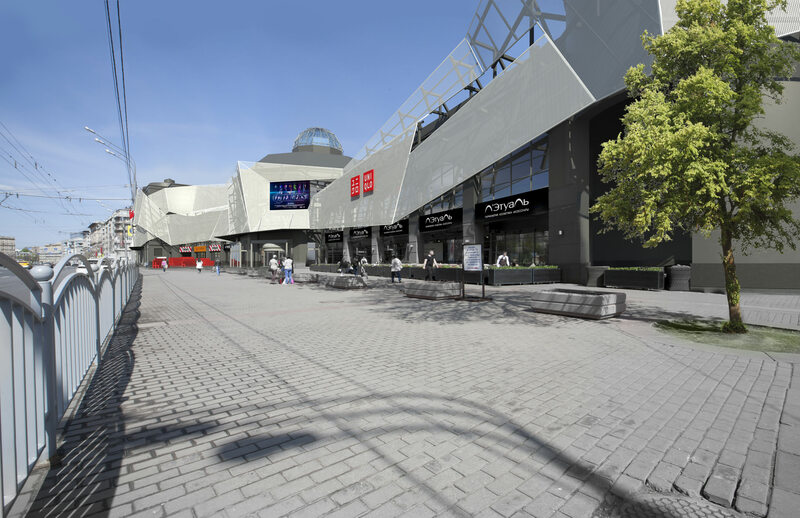 It is also important that in this case the improvement of the urban environment will significantly increase the profits of owners and tenants of the shopping center, making it more popular and visible.